Previous PostBKC CPA TRAINED IN THE COLLABORATIVE LAW PROCESSNext PostARE DRAFT REPORTS DISCOVERABLE? Darlene Shaffer, a CPA, forensic and valuation expert with Bedard, Kurowicki & Co., CPA’s, PC, has recently been awarded the Accredited in Business Valuation (ABV) Credential by the American Institute of Certified Public Accountants (AICPA). The ABV Credential, established in 1998 by the AICPA, is granted to qualified CPAs with considerable professional experience in business valuation. Darlene previously was awarded the Certified in Financial Forensics (CFF) Credential by the AICPA and the Certified Valuation Analyst (CVA) Credential by the National Association of Certified Valuators and Analysts (NACVA). 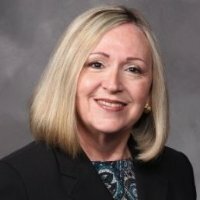 Darlene met the requirements to earn the ABV Credential, which includes passing a rigorous exam, demonstrating significant business experience in the area of financial forensics, as well as completing a minimum of 75 hours of life-long learning and education activities in the area of valuation. The ABV Credential is granted exclusively to CPAs who are members in good standing of the AICPA which binds them to the AICPA Code of Professional Conduct.CPAs who have earned the ABV Credential must be recertified every three years to maintain their credential. The American Institute of Certified Public Accountants (www.aicpa.org) is the national, professional association of CPAs, with over 350,000 members, including CPAs in business and industry, public practice, government, and education. It sets ethical standards for the profession and U.S. auditing standards for audits of private companies; federal, state and local governments; and non-profit organizations. It also develops and grades the Uniform CPA Examination. Headquartered in New York, the AICPA also maintains offices in Washington, D.C.; Durham, N.C.; and Lewisville, TX.